Chapter 132 - Public Records. § 132-1. "Public records" defined. § 132-1.1. Confidential communications by legal counsel to public board or agency; State tax information; public enterprise billing information; Address Confidentiality Program information. § 132-1.3. Settlements made by or on behalf of public agencies, public officials, or public employees; public records. § 132-1.3A. The University of North Carolina athletic conference communications and other documentary materials; public records. § 132-1.4. Criminal investigations; intelligence information records; Innocence Inquiry Commission records. § 132-1.4A. Law enforcement agency recordings. § 132-1.6. Emergency response plans. § 132-1.7. Sensitive public security information. § 132-1.7A. Alarm registration information. § 132-1.8. Confidentiality of photographs and video or audio recordings made pursuant to autopsy. § 132-1.9. Trial preparation materials. § 132-1.10. Social security numbers and other personal identifying information. § 132-1.11. Economic development incentives. § 132-1.11A. Limited access to identifying information of minors participating in local government programs and programs funded by the North Carolina Partnership for Children, Inc., or a local partnership in certain localities. § 132-1.12.  Limited access to identifying information of minors participating in local government parks and recreation programs and programs funded by the North Carolina Partnership for Children, Inc., or a local partnership in other localities. § 132-1.14. Personally identifiable information of public utility customers. § 132-1.15: Reserved for future codification purposes. § 132-1.16: Reserved for future codification purposes. § 132-1.17: Reserved for future codification purposes. § 132-1.18: Reserved for future codification purposes. § 132-1.19: Reserved for future codification purposes. § 132-1.20: Reserved for future codification purposes. § 132-1.21: Reserved for future codification purposes. § 132-1.22: Reserved for future codification purposes. § 132-1.23. Eugenics program records. § 132-3. Destruction of records regulated. § 132-4. Disposition of records at end of official's term. § 132-5.1. Regaining custody; civil remedies. § 132-6. Inspection, examination and copies of public records. § 132-6.1. Electronic data-processing and computer databases as public records. § 132-6.2. Provisions for copies of public records; fees. § 132-7. Keeping records in safe places; copying or repairing; certified copies. § 132-8. Assistance by and to Department of Natural and Cultural Resources. § 132-8.1. Records management program administered by Department of Natural and Cultural Resources; establishment of standards, procedures, etc. ; surveys. § 132-8.2. Selection and preservation of records considered essential; making or designation of preservation duplicates; force and effect of duplicates or copies thereof. § 132-9. Access to records. § 132-10. Qualified exception for geographical information systems. § 132-11. Time limitation on confidentiality of records.